How do consumers stay healthy under pressure when it comes to food safety and pesticides? What exactly is the dirty dozen? 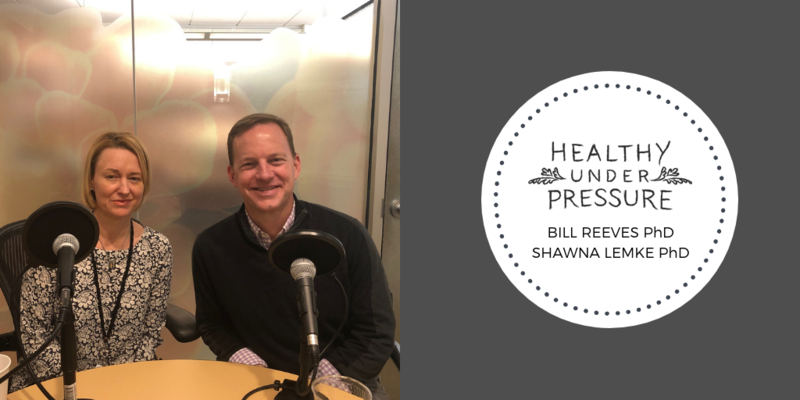 During this interview, I sat down with Bill and Shawna to help answer these important questions and learn how this power couple stays healthy under pressure. Bill Reeves is the Global Health and Safety Issues Management Lead for the Agricultural Affairs and Sustainability team within Bayer’s Crop Science division. He earned his BS in biology from the University of Missouri and his PhD in toxicology from Texas A&M University. He has been with Bayer (initially Monsanto) since 2007, first in the Biotechnology Regulatory Affairs team making and defending regulatory submissions for drought tolerant corn and insect protected soybean. In 2014 Bill joined the Regulatory Policy and Scientific Affairs team as the Crop Protection Safety and Outreach Lead. In this role he was responsible for scientific outreach with academics, regulators, and the public about Bayer’s crop protection products. His current focus is on ensuring the accuracy of scientific information regarding the health and safety of products produced by Bayer’s Crop Science division. Prior to joining Bayer, Bill worked as a water quality regulator with California’s Environmental Protection Agency and as a human health and environmental risk assessor for a private consulting firm. Dr. Shawna Lemke leads Food Safety, Health and Nutrition Stakeholder Affairs as part Bayer US Crop Science’s Agricultural Affairs and Sustainability team. In this role, Shawna works with companies, food and health professionals, NGOs and other stakeholders across the food system on topics related to innovation in agriculture, safety, nutrition and environmental sustainability. Shawna has over 15 years of experience in product safety and nutrition in the agricultural and pharmaceutical industries. She has held roles in managing pre-clinical and clinical phases of drug development, and conducting nutritional and food safety evaluation of products. She led the clinical program to establish the nutritional value of soybean oil containing the omega-3 fatty acid, stearidonic acid (SDA). Prior to her current role, Shawna led the Toxicology and Nutrition Center at Monsanto, with oversight of human safety evaluation for crop protection chemicals and crops developed through biotechnology. Shawna was born in Southern California and raised in rural Wisconsin. She attended the University of Wisconsin- Green Bay and received a B.S. in Chemistry with a minor in Environmental Sciences. Shawna holds a PhD in Toxicology from Texas A&M University and completed post-doctoral training in Human Nutrition at UC-Davis. You can connect with Shawna and Bill on Linkedin. You can also connect with Bill on Twitter. Special thanks to Bayer Crop Science for sponsoring this conversation. To learn more, visit Bayer Crop Science or follow them on Twitter.